Now accepting magnet applications for the 2019-2020 school year! The late magnet application window opened on February 1, 2019. 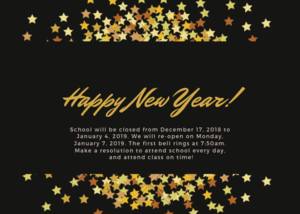 School will be closed from December 17, 2018 to January 4, 2019. We will re-open on Monday, January 7, 2019. The first bell rings at 7:50am. Start the year off right by attending school every day on time! You are invited to particpate in a town hall conversation with Deputy Superintendent Vivian Ekchian! You will have an opportunity to learn more about the reimagining project, and provide input. School will be closed from November 19 to November 23. We will reopen on November 26. Students must arrive before 7:50am. We welcome all of our new and returning students back to school on August 14, 2018! We will be on a modified bell schedule. The opening bell rings at 7:50am. Student's will be able to find their first period class posted in the grass quad area. We look forward to a great year with our Crenshaw Scholars! Parent Conference Night is this Thursday, October 25th. Report cards and programs will be available from 5:00pm to 5:30pm. The meeting will begin in the big gym at 5:30pm. Find out about A-G requirements, senior activities and graduation requirements, and find out about your child's academic progress! 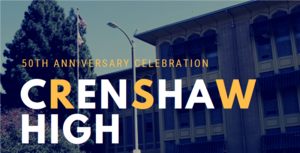 Join us as we celebrate 50 years of Excellence at Crenshaw High School! Crenshaw High School has long served as the foundation of a community rooted in culture. As the high school anchor of the vibrant Crenshaw District, The 'Shaw' has influenced music, film, the arts, and more. You are invited to join the celebration, hosted by our very own Crenshaw High School Alumni Association (CHSAA), at the Gala Golf Tournament on October 12th, and the evening Gala on October 13th! Click here for more information! See you there! 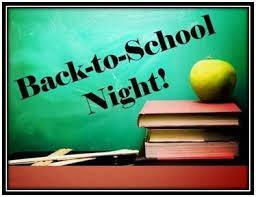 Join us for Back to School Night on Thursday, September 13th! Friday, September 14th will be a minimum day for students. Students will be dismissed at 12:37. Wednesday, May 16th at 11am,we had an outstanding groundbreaking ceremony for our facilities improvement. Our board member, Dr. George McKenna as well as our LD West Superintendent Ms. Cheryl P. Hildreth were among the speakers, and the Crenshaw Elite Choir showed out as usual. Crenshaw is undergoing construction, which will include a new outdoor courtyard, a new synthetic turf football field, resurfacing of all floors and the gymnasium courts, and of course a brand new state of the art 850 seat theater which will include classrooms for music, dance and drama! There is also a new ventilation, heating and air system being installed, along with small learning community spaces such as the Robotics lab and Business Center. We look forward to the completion of this project and the Ribbon Cutting Ceremony that will be sponsored by Mr. Mark Hovatter, the Chief Facilities Executive for LAUSD.